| You push me, I push back! Mountain justice is usually the way to keep what belongs to you. A father and son go home to be at a farm in the mountains of Oklahoma to help out family there. But along the way, he would encounter greedy land developers who to deprive the people there of their homes. They would kill his brother and his wife when a celebrate the homecoming. The development crew with their machines cruelly destroy homes, blast rocks, and send the kind hard-working people out from their native land. Kind of like the Native Americans removed from their land out west in the 1800's. Peter Fonda's character doesn't play around when they attacked his family. This movie is like "Deliverance" meets "Gator Bait" meets "Death Wish". This movie has got a lot of action. It's not a let down. 4 out of 5 stars. 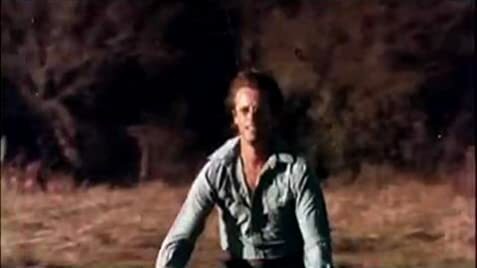 Like many other films, Peter Fonda provided his own artillery for the climatic scene where he infiltrates Crabtree's house. Senator Hingle: I read this paper on the plane today coming back from Washington. When I first read it, I got sad. Then I got mad! Ambrose was a friend of mine. Let me tell you something, boy. You better watch out fro the IRS, the internal revenue, everything! When Len Skeritt gets up from the scuffle at the construction site, he puts his hat on, but when he walks over to grill the "security expert", he's seen putting his hat on again. Courtesy of MGM Records/Music Mill Productions/Fame Publishing, Inc.